Back before we re-did our kitchen, I was washing dishes every day BY HAND. That’s right; The Daily Dish washing The Daily Dishes. Cute, huh? Not really. All that dish washing was wreaking havoc on my hands. With each passing dish, they grew a bit drier, a little more chapped, until finally my knuckles began to crack and bleed. I tried different dish soaps, grotty gloves, scrubbers on sticks. I slathered on hand cream, I drank water by the gallon. I even tried letting the dishes pile up, hoping my husband would wash them. But I was STUCK. After months of scrubbing, my hands hurt like hell and they looked even worse. One particularly bad night, as I lay in bed thinking about my poor hamburger hands, came two words. 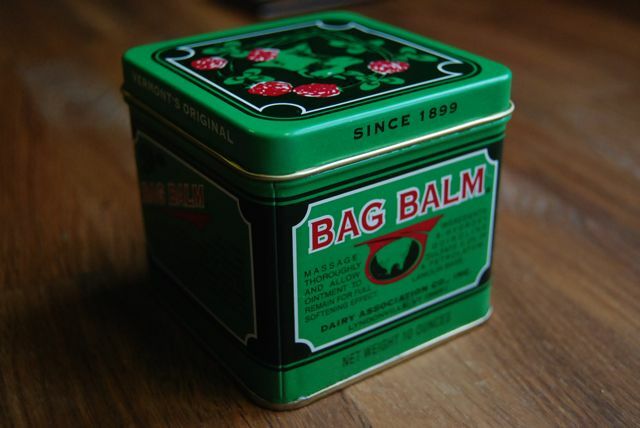 Bag Balm – OF COURSE!! Anyone who’s ever milked a cow knows about Bag Balm. What?! You’ve never milked a cow? Okay, me neither. But I had heard of Bag Balm. I’d read about its wonder properties some time ago. Originally created to soothe cow udders, Bag Balm is a treat for teats and more. Its patented blend has been known to cure all sorts of ailments, not just in cows, but in goats and horses and even HUMANS. I’d bought a can of it before we left Philly, I thought surely I’d need it sometime. As soon as those 2 beautiful words popped into my head, I leaped from bed & found that tin. Oh, Bag Balm! I coated my hands in goopy goodness & fumbled to turn out the light. In the morning I gazed open-mouthed at the wonder before me. My hands weren’t just better, they were BACK! When I’d gone to bed they’d been red cracked & bloody. Now – like magic – they were soft and white, pain-free, the cracks GONE. I had never seen such a transformation in all my life. But it hasn’t stopped there. My hands, despite all of the renovation work we’ve been doing, all the hand washing, and until last week – daily dishes – have remained baby soft. Truly, the loveliest they’ve been in years. Oh, Bag Balm! 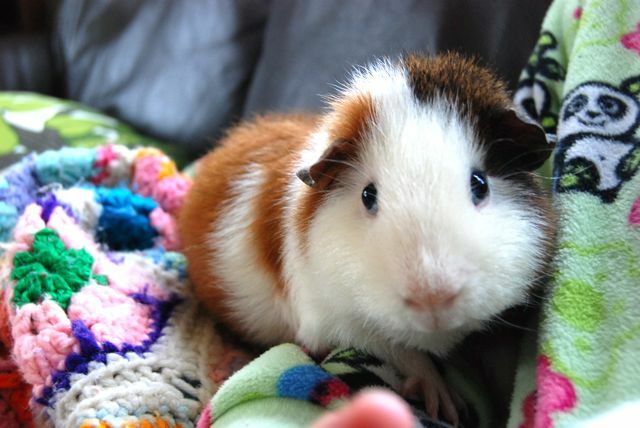 About a month ago, we adopted two guinea pigs off Craigslist. OH YES WE DID. We already had two, we figured what the heck. But when we went to pick them up, these new guys looked weird. Their fur was dull, not glossy, and one had bald spots. 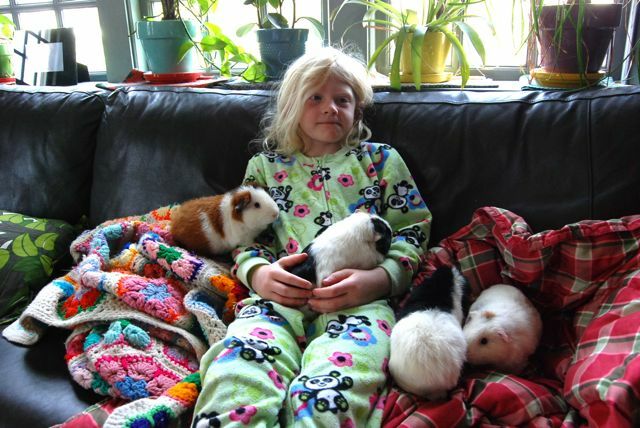 We would have turned & walked out the door, but those poor ugly guinea pigs just screamed HELP US. So against better judgment we took them in, brought them home and (yes) introduced them to our two healthy males. 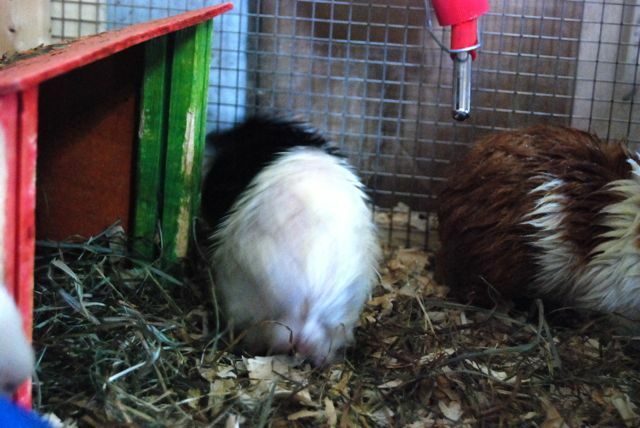 Almost immediately, the second pig began losing fur. Ignorant of the fact that the “harmless balding” we’d been informed of was in reality sarcoptic mites, we allowed all four pigs to remain together in the same pen. By the time we realized this was serious, it was too late. All four pigs had mites. I was HORRIFIED. To think these poor creatures had been dealing with this disgusting, incredibly itchy and potentially lethal situation w/out us knowing. My blood boiled. After some online research, I discovered people have treated this very same issue w/ success using (you guessed it) BAG BALM. Which I just so happened to have!! 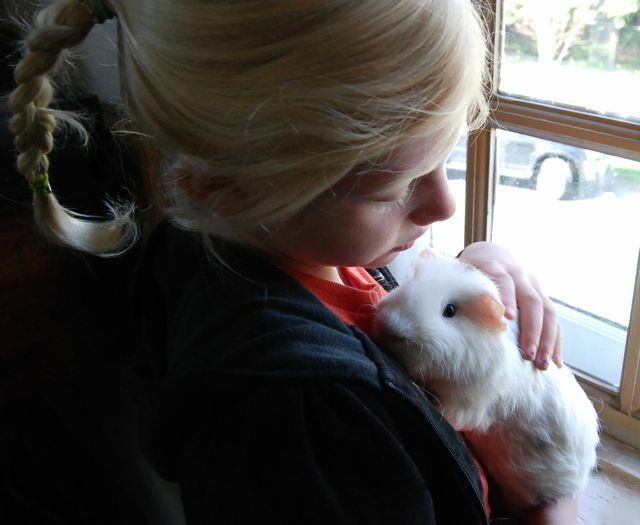 And so I did what any good guinea pig owner would do. I sat down with my piggies and smeared them head to toe with greasy salve. We let that grease work its magic for a few days, and then followed up with two small doses of the topical mite treatment Revolution (Selamectin), which we also just so happened to have. 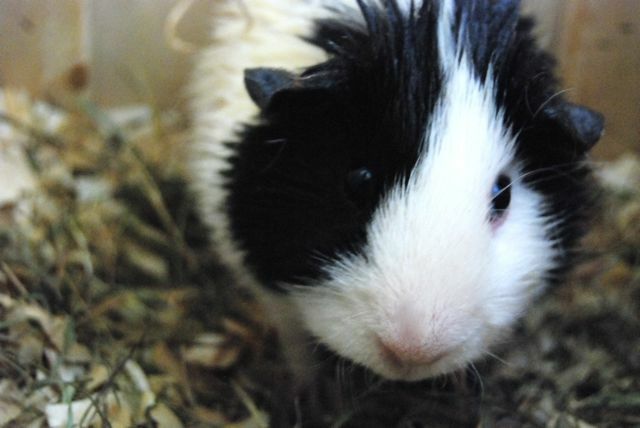 It’s been two weeks now, and I am thrilled to say all four piggies now appear mite-free. They are no longer balding, some hair has begun to grow back and the scabbing & dandruff are virtually gone. YOOOHOOOO!! Oh, Bag Balm!! 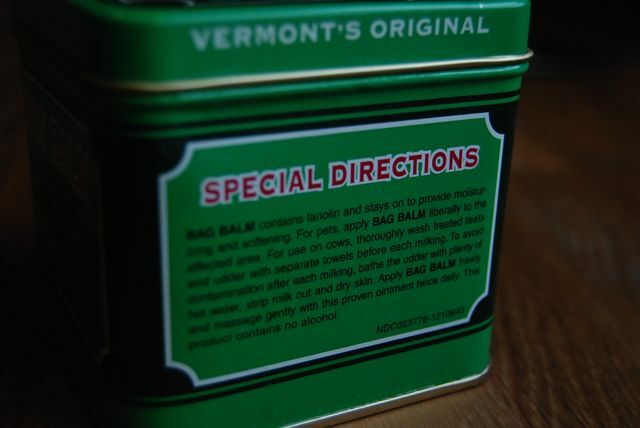 For more information on where to buy Bag Balm, click HERE.